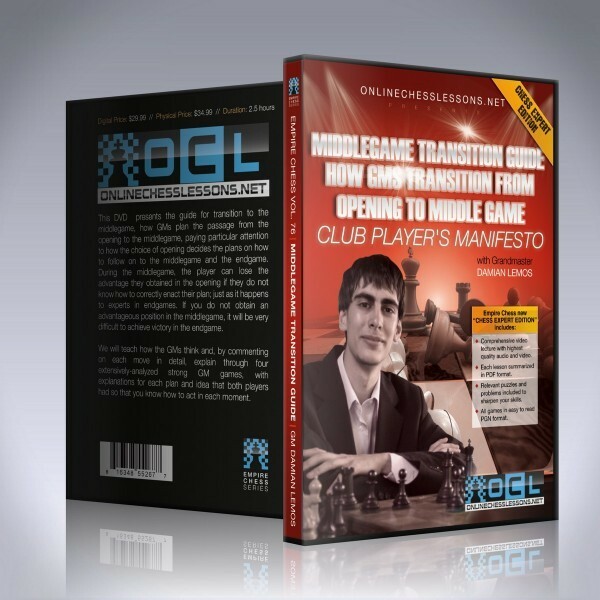 This volume presents the guide for transition to the middlegame, how GMs plan the passage from the opening to the middlegame, paying particular attention to how the choice of opening decides the plans on how to follow on to the middlegame and the endgame. During the middlegame, the player can lose the advantage they obtained in the opening if they do not know how to correctly enact their plan; just as it happens to experts in endgames. If you do not obtain an advantageous position in the middlegame, it will be very difficult to achieve victory in the endgame. We will teach how the GMs think and, by commenting on each move in detail, explain through four extensively-analyzed strong GM games, with explanations for each plan and idea that both players had so that you know how to act in each moment. The middlegame is an important and complex part of the game which binds the opening to the endgame. With these videos your understanding of the game will improve from the point of view of a GM. All of this is explained in a clear and concise way by Grandmaster Damian Lemos, one of the best presenters of chess video instruction. Grandmaster Damian Lemos’ excellent presentation skills will guide you through this volume, the sixth in the collection of strategy and tactics for advanced players. This volume presents the guide for transition to the middlegame, how GMs plan the passage from the opening to the middlegame, paying particular attention to how the choice of opening decides the plans on how to follow on to the middlegame and the endgame. 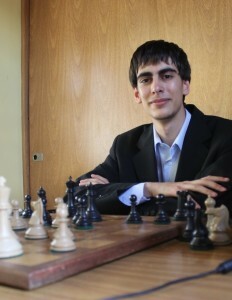 During the middlegame, the player can lose the advantage they obtained in the opening if they do not know how to correctly enact their plan; just as it happens to experts in endgames. If you do not obtain an advantageous position in the middlegame, it will be very difficult to achieve victory in the endgame. We will teach how the GMs think and, by commenting on each move in detail, explain through four extensively-analyzed strong GM games, with explanations for each plan and idea that both players had so that you know how to act in each moment. The middlegame is an important and complex part of the game which binds the opening to the endgame. With these videos your understanding of the game will improve from the point of view of a GM. All of this is explained in a clear and concise way by Grandmaster Damian Lemos, one of the best presenters of chess video instruction.